I had pulled pork for my afternoon snack today. I wasn't intending to have it when I planned my food for the day. I also had not planned to walk over four miles today. I was hot and tired and ready for some protein! I ordered the pulled pork to go, no sauce, and took it home so I could weight out a 4oz portion for myself and not the 3/4 of a pound I could have easily eaten. Dang, pulled barbecued pork is always so good - it doesn't need any of those cloying sauces. It didn't even need salt. The natural taste was very satisfying without additions. It made me wonder why I do not eat it more often. 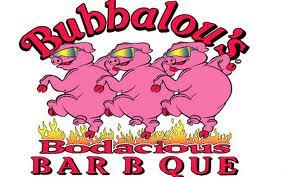 Then I realized barbecued meat was the only thing on the menu I will eat from Bubbalou's Bodacious BBQ. I stopped 'drinking' the BBQ sauces when I let go having sugar. I do not eat their beans or cole slaw for the same reason (too sweetened). I do not eat breaded/fried foods like their sweet potato-nuggets and fries. I don't even eat their bread which is white bread and I do not eat sweet corn bread. I would not eat in for a meal. According to health guidelines I should not have barbecued meats often anyway. I had planned a different snack and had to adjust for the pork and let go of an avocado, some yogurt and some protein powder to make it fit into my meal plan today. I was willing to make the switch because it did not alter the final percentages of my carbs/protein/fats. I am grateful I was willing to weigh it and stick with that serving. It has been another good week. Next week I will be traveling up north. I will have a kitchen for three days and access to one for two more days so eating out will be minimal. Exercise will be all walking. I hope the snow will be gone from day one so that I can enjoy the early spring in New York and not suffer with the last pangs of their abundant winter. I do have eat their beans or cole slaw for the same reason (too sweetened). I think you are missing a NOT. have a wonderful trip, I assume you are going to get to see some of your NY family. It's great that you can get it w/out the sauce!!! Vickie - thank you for catching that missing NOT. It WAS missing. Yes, going to spend the week with family. My sibs and I want to try and spend 1 holiday each year all together. I took the plunge and said I would come up this year. Let's see what happens in 2014. Norma - It is very nice place for meat with nothing on it!